Over the last decade, Toronto Police has raised over $5 million for United Way Toronto & York Region through its annual campaign to help fund programs for young people reach their goals to helping seniors live with dignity. This year, the Service is highlighting the work of the Jane and Finch Boys & Girls Club, who receive United Way funding. 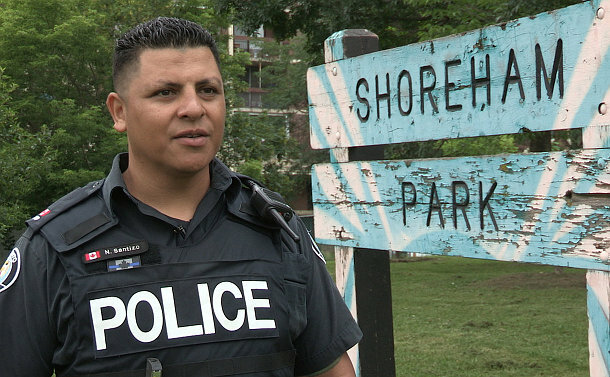 Neighbourhood Officer Constable Nelson Santizo who, along with Constable Dalida Matias, patrols the Shoreham-Driftwood neighbourhood, said the club creates a safe space where young people are mentored. The club runs a variety of programs, including dance, job readiness and homework help. She said a donation to United Way is a huge investment in the young people that attend the club. “It does help the next generation,” she said. Visit the United Way Toronto & York Region website to learn more about the positive impact a donation can have on our neighbourhooods. 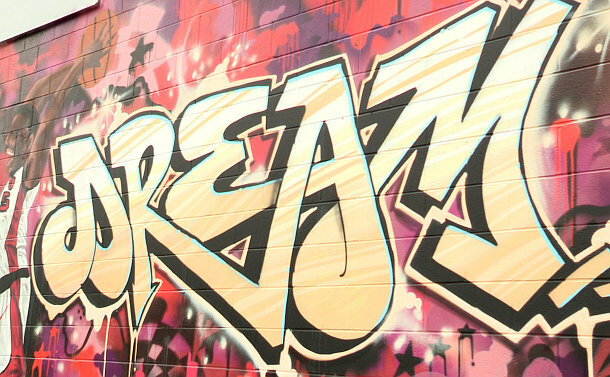 A mural on the Jane and Finch Boys & Girls Club encouraging youth to "dream"